Leroy William Hofmann was born (2/22/1929) and raised in Indianapolis Indiana. Upon graduating from Thomas Carr Howe High School in 1946, he enrolled at Indiana University. Hofmann graduated from IU with a B.A. in Sociology in 1950. A few months later he enlisted in the U.S. Army, serving until 1954. He spent the next year as a Personnel Research Assistant with the L.S. Ayres and Company in Indianapolis, before enrolling at the Indiana University School of Law in the fall of 1955. Hofmann served on the Student Editorial Staff of the Indiana Law Journal (v.32-33) during his law school career, was elected to Order of the Coif, and was awarded 1957’s Charles A. Halleck Award, based on scholarship, character, and need. Hofmann received his JD from the law school in 1948. After graduation, Hofmann headed west to Arizona, where he clerked for Justice Fred C. Struckmeyer Jr., of the Arizona Supreme Court. Hofmann remained in Arizona after the clerkship, serving as an associate in the Phoenix firm of Kenneth S. Scoville. Hofmann gained experience in all aspects of tort trial practice, but eventually specialized in personal injury cases. In 1973, he co-founded the firm Hofmann, Salcito & Stevens and later worked at Jennings, Haug, and Cunningham. An authority on liability insurance and medical malpractice, he served on commissions that provided guidance to Arizona lawmakers and on committees governing ethics and discipline of Arizona attorneys. 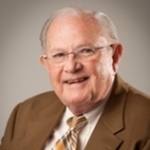 Leroy William Hofmann was inducted into the Indiana University School of Law Academy of Law Alumni Fellows in 1992 and received the school’s Distinguished Service Award in 2010. Hofmann died in 2018 at the age of 89. "Leroy William Hofmann" (1929). Notable Alumni. 157.